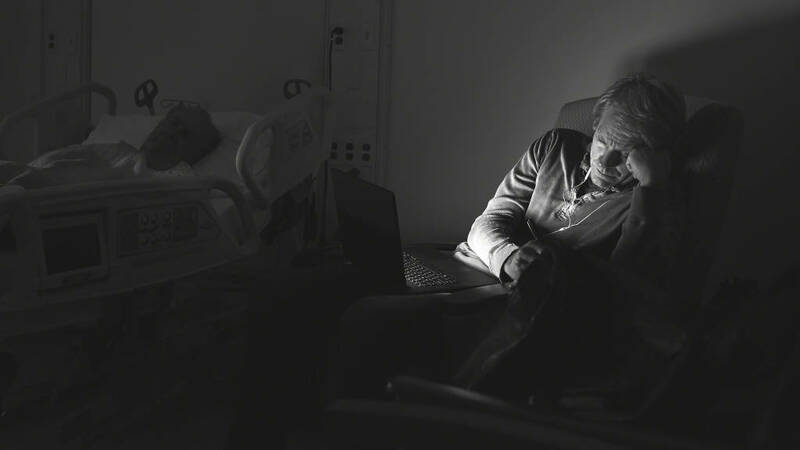 Family members support hospital patients emotionally and physically, but these important people in the healthcare process are often underutilized and undervalued. Now, new insights from Steelcase Health released today reveal how patient room design can impact family experiences and engagement in a loved one’s care, and influence patient satisfaction and outcomes. With the rate of chronic disease growing, the population aging, and a projected shortage of healthcare professionals, the role of family members to partner with healthcare professionals during a patient’s care is more important than ever. The landscape is complicated by financial incentives tying healthcare providers’ reimbursement to patient satisfaction and the prevention of readmissions. This complex healthcare picture elevates the value of family members and other loved ones who surround the patient and are often left without many of the essentials they need to be comfortable, productive and supportive. These mothers, fathers, children and other family members may be the only consistent partner along a patient’s journey, and with guidance, can help hospital staff by providing relevant information, assistance in care, and helpful symptom monitoring during or after the patient stay. Steelcase Health sought to better understand how families are involved in the healthcare experience, uncover the contribution of environmental influences on family involvement in patient care, and examine how family members adapt to living in a patient room. Its researchers observed clinicians, patients, family members in maternity and pediatric settings, and interviewed healthcare executives, nursing and facilities staff responsible for inpatient adult care across several service lines, including intensive care. Additionally, the team explored peer-reviewed research and industry trend data, and examined case studies about family involvement in patient care. The Steelcase Health research team found that the ways in which the physical environment can support the family member in the patient room are not well understood. 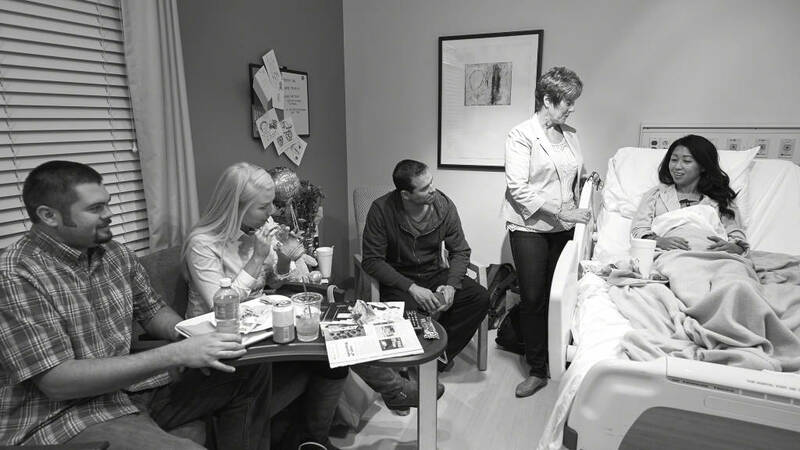 Healthcare environments are often not designed to support the roles that family members play in a patient’s journey. 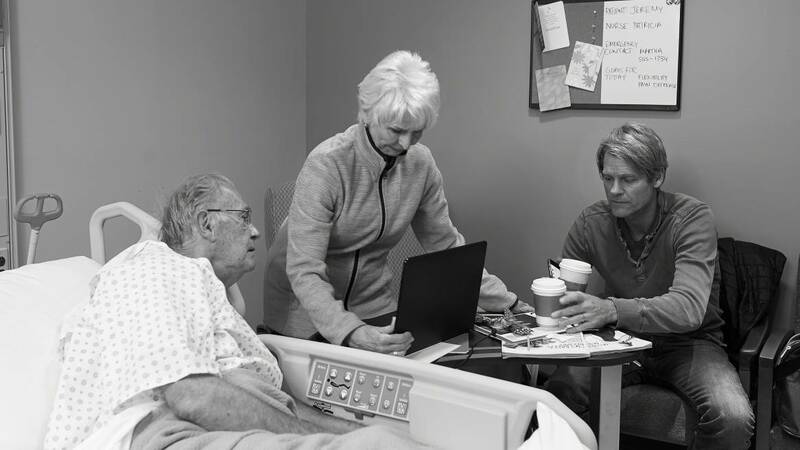 Family members often want to be active participants with clinicians and the patient, but the layout of most healthcare environments does not promote communication. They may be seated in a corner or on the other side of the room — away or blocked from where medical information is delivered to the patient. If able to participate, family members can share medical and dietary information, take notes and review test result among other things. Effective communication can help family members make a patient’s transition from hospital to home easier, and help the patient follow discharge plans preventing emergency room visits and hospital readmission. Many healthcare environments cannot comfortably accommodate family members who stay with their loved ones overnight. Family members worry that they will disturb their loved one as they shift and try to get comfortable in the middle of the night. Chairs, temporary cots and in-room sleepers can be uncomfortable making it more difficult to sleep. Steelcase Health researchers found family members improvising their own “beds” using chairs, duffel bags and pillows. Family members often prefer to eat with their loved ones rather than in the cafeteria, but current healthcare environments do not support families sharing a meal. Researchers watched as people tried to improvise with whatever furniture they could find. Besides being inconvenient, the situation frequently displaced items needed by the patient and clinicians. In many hospital settings, limited furniture makes it more difficult to host visitors. There’s few places to store guests’ bags, coats, computers, and bedding adding to crowding that is awkward and frustrating for guests, patients and hospital staff. Crowding can block access to medical equipment and impede clinical staff’s ability to do their job. Often family members try to maintain some of their routines, including working from the hospital, while supporting their loved one. In most cases, this requires the use of technology. Researchers saw family members struggle to create ad hoc workspaces while their loved ones slept. Their efforts were often complicated by a lack of access to light, power sources, and surfaces to hold paperwork. Steelcase Health findings show that family members need intuitive, welcoming and hosted environments that both support fundamental needs, such as sleeping, sharing meals and working, and assists them in productively partnering with clinicians to meet their loved one’s healthcare needs. The findings from Steelcase Health bolster research on current healthcare trends such as patient and provider satisfaction as quality indicators, the focus on patient-and-family-centered-care, and the adoption of patient and family advisory boards and councils at hospitals and health systems. For more information about Steelcase Health’s insights on how healthcare environments can support family involvement in patient care, visit www.steelcase.com/health.